"Thanks again Amy! I promise I won't bug you every day.....I'll just want you to speed up the calendar!" Mike and Ardan spent their 5th day in Italy visiting Tuscany, Orvieto, and they also did wine tasting & enjoyed dinner. Mike and Ardan spend their fouth day in Italy touring the Vatican and they even did a private tour of the Vatican Museum & the Sistine Chapel. On their third day of the Adventures by Disney Tour, Mike and Ardan did the Walking Tour of Rome and VIP Coliseum Tour. Mike and Ardan completed their 2nd day in Italy. They spent their second day in Rome. Read on to hear more. Michael (Co-Owner) and Ardan (his 9 year old son) are traveling to Italy on an Adventures by Disney Tour. Pompei was included in the Southern Italy Tour, but since we are doing the Northern Italy tour, we decided to come a day early and do that portion on our own before joining the group. 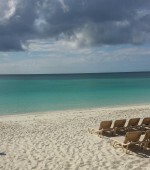 Co-owner Amy McHugh, Dream Agent Robyn Ayers, and team member Amy Sellers spend their third day at Beaches Turks & Caicos experiencing the new parts of the resort. Read more to hear about some of the new Key West Village rooms. Co-owner Amy McHugh and team member Amy Sellers are joined by agent Robyn Ayers for the grand opening celebration of the Key West Village. Co-owner Amy McHugh and team member, Amy Sellers are traveling to Beaches Turks & Caicos for the Key West Village ribbon cutting ceremony. Co-Owner Amy McHugh spends her 3rd day in Grenada enjoying the wonderful hospitality and attending the Sandals La Source Grenada Grand Opening Ceremony. Co-owner Amy McHugh spends her 2nd day at the Grand Opening of Sandals La Source Grenada getting to know the property and enjoying the delicious restaurants! Our co-owner, Amy, is traveling to the Sandals La Source Grenada opening celebration event. Read on to hear about her first impressions of this beautiful new resort! Co-Owner Amy McHugh, Assistant Jen and Amy's daughter Madison spent their 4th day in Mexico visiting El Dorado Maroma, Generations and participated in the Dolphin Discovery excursion! 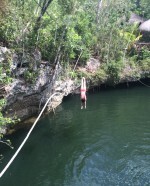 Co-Owner, Amy McHugh, Jen and Madison spent their third day at Dreams Riviera Cancun participating in the zip lining excursion. Co-owner Amy and teammate Jen visit Zoetry Paraiso de la Bonita for the day. Read on to hear about their experiences at one of our favorite resorts. Assistant, Jennifer Lee and co-owner, Amy McHugh travel to Dreams Riviera Cancun.